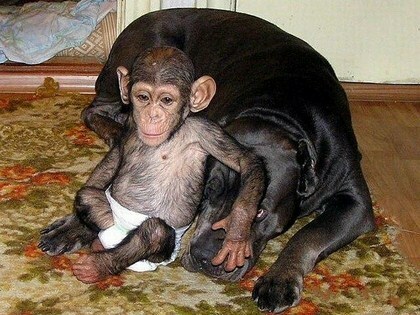 In one of the Russian zoos, a female chimpanzee died at the zoo where she lived, leaving her baby with no one to care for it. 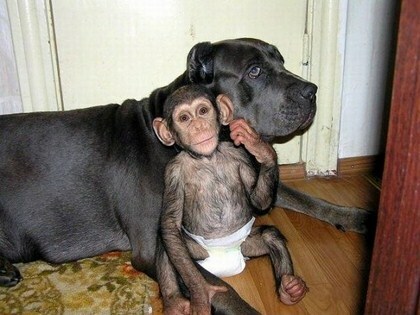 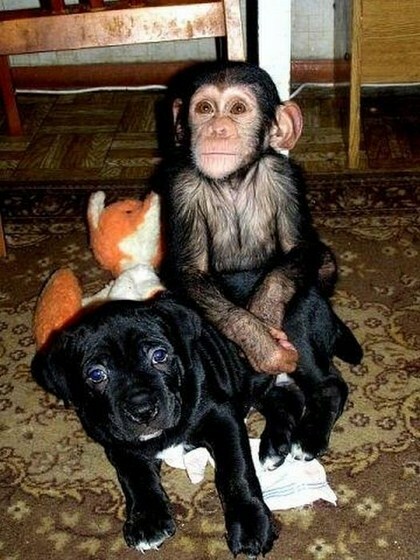 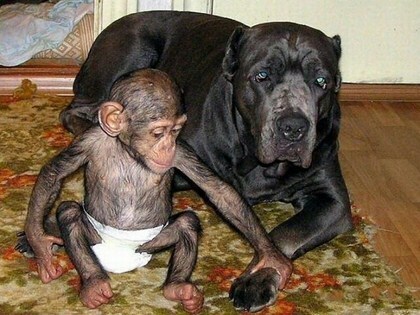 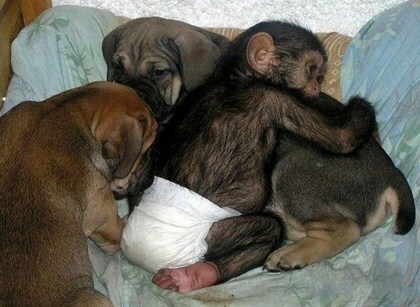 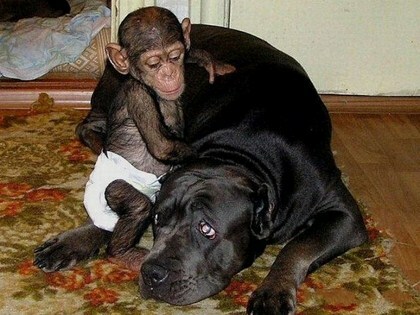 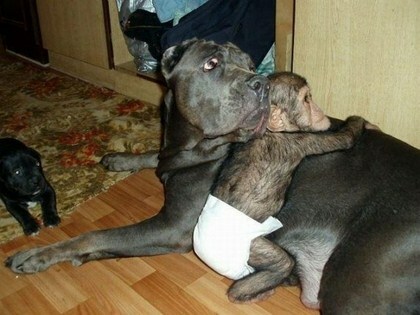 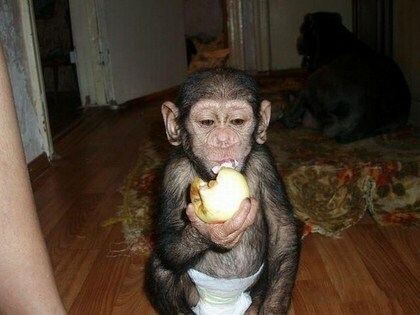 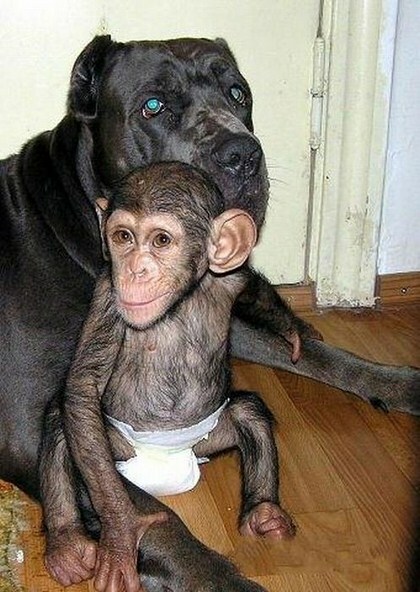 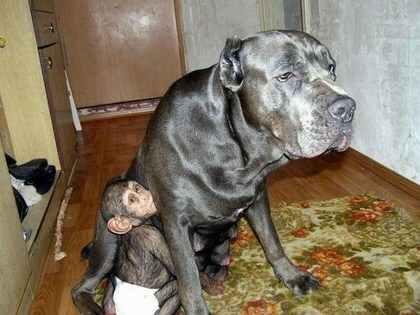 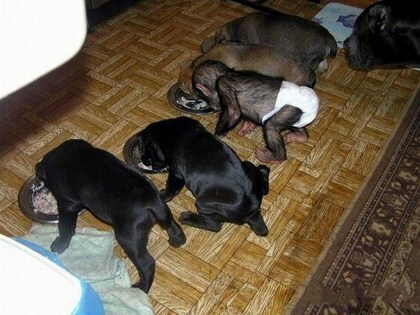 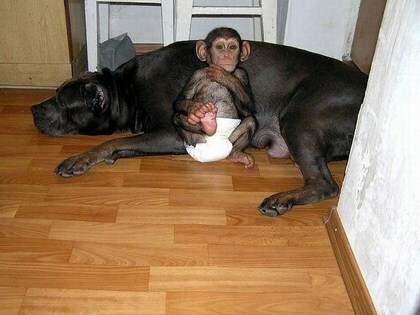 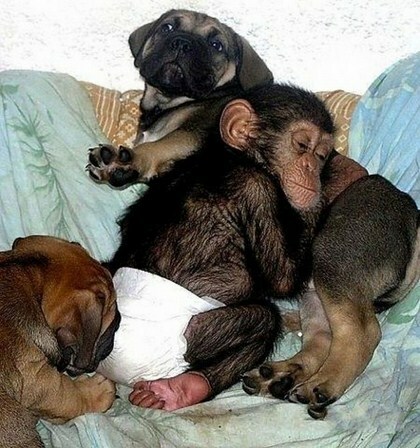 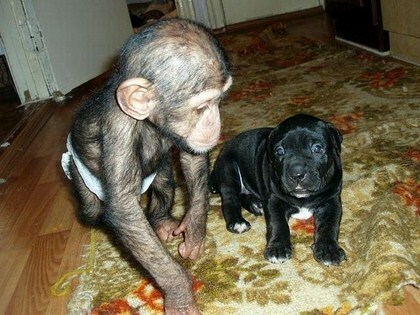 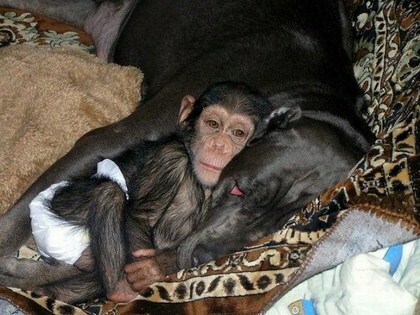 When one of the employees of the zoo took the little chimpanzee home to administer additional care, it never crossed her mind that her dog, a mastiff, who had just given birth and was nursing a litter of puppies would become a mother for the orphan chimpanzee and treat the cute little baby as her own child. 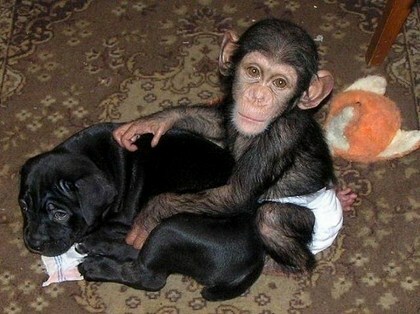 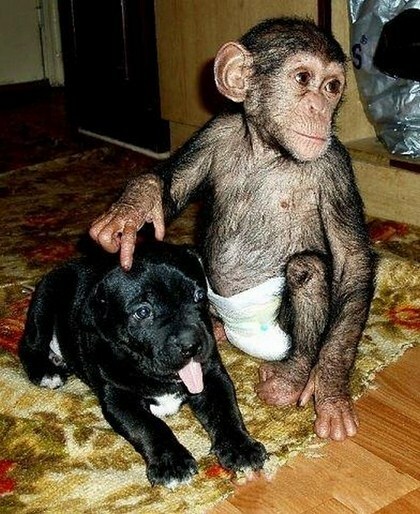 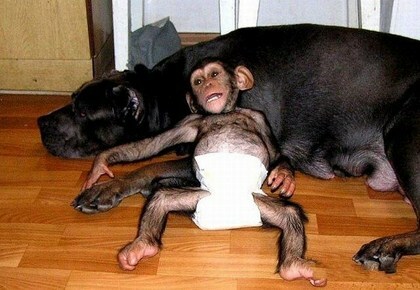 The two apparently bonded, with the baby chimp becoming one of the family.